The Virtual Warehouse is now available as an Augmented Reality (AR) app on the iOS store for iPhone and iPad. The Wessels Virtual Warehouse is built for the Oculus Rift headset and supports the Oculus Touch motion controllers. What Is The Virtual Warehouse? 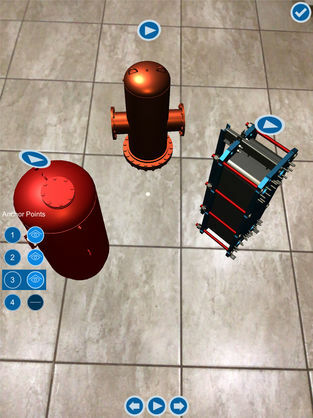 The Virtual Warehouse is a fun, new way to explore some of Wessels Company’s most popular products in FULL 3D using the Oculus Rift Virtual Reality (VR) headset or as an Augmented Reality (AR) app for your iPhone or iPad. What If I Don’t Have the Oculus Rift Virtual Reality Headset? That’s Okay! You can explore the Virtual Warehouse on your iPhone or iPad (2016 model or newer recommended). Just click Wessels AR to get started. How Do I Use the Virtual Warehouse? For AR: Click the Wessels Logo in the top right corner, double tap on the screen to place a tank, use the arrows to scroll through different models, and press the play button to watch them animate. For VR: Squeeze the inside button on the Oculus Rift touch controller to form a blue laser. Point at a spot on the ground and release the button to teleport. You can also use the joysticks to rotate and walk, or press the buttons to teleport to each animation station. Reach out and press the giant red buttons with your hands to start animations. 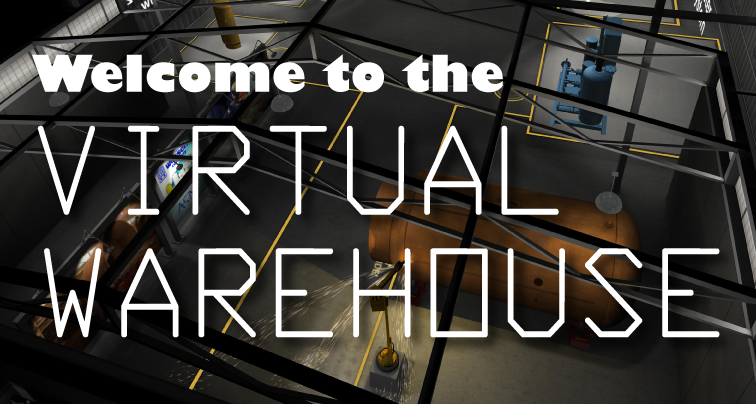 What’s The Best Way To Experience the Virtual Warehouse? We’ll be taking the Wessels Company Virtual Warehouse experience around with us to different trade shows throughout the year. Follow our News Section or sign up for our Newsletter to see where we’ll be exhibiting next so you can try out the full 3D Virtual Warehouse experience!